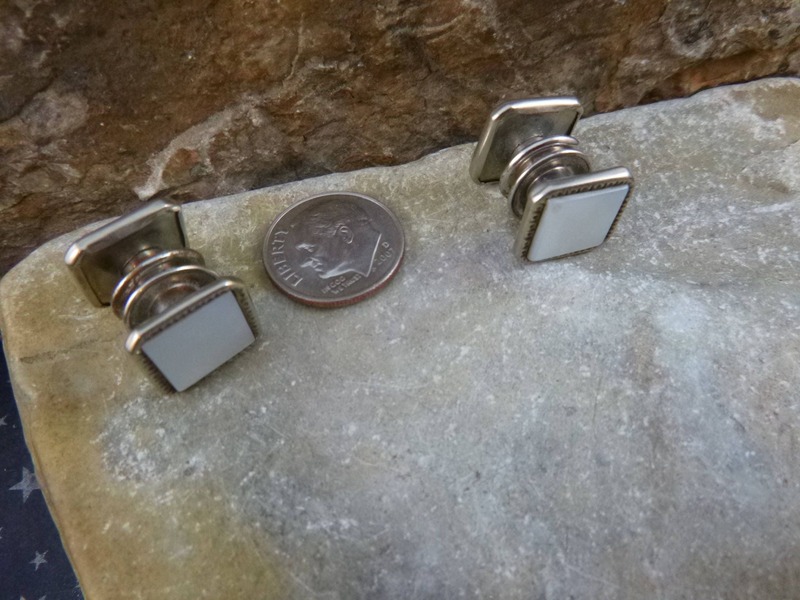 I bought these Art Deco snap button cufflinks from a woman selling a family estate who I met at a once-a-year community indoor “garage sale” at the country fairgrounds. 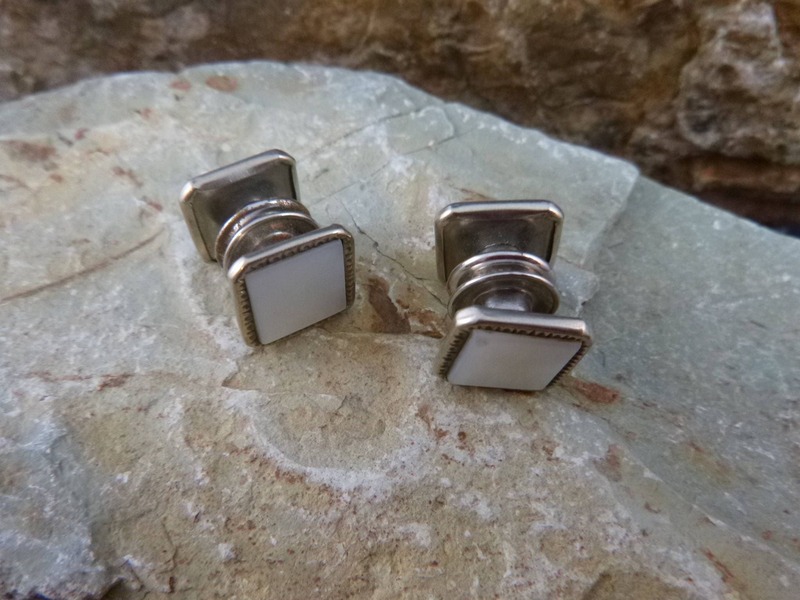 Snap button style cuff links were only made during the l920s. 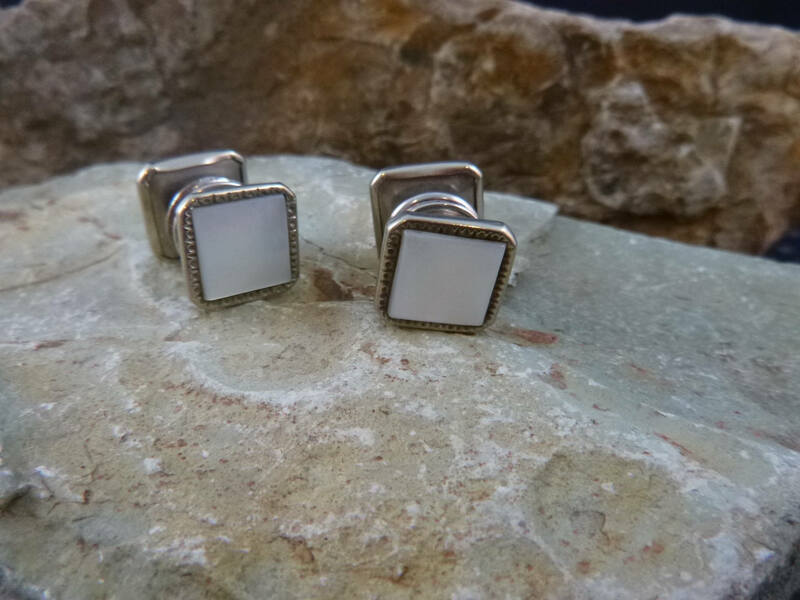 When I got home, I found similar ones featured on page 83 (with a slightly different border) in Howard L. Bell, Jr.'s book, Cuff Jewelry, published in l993. 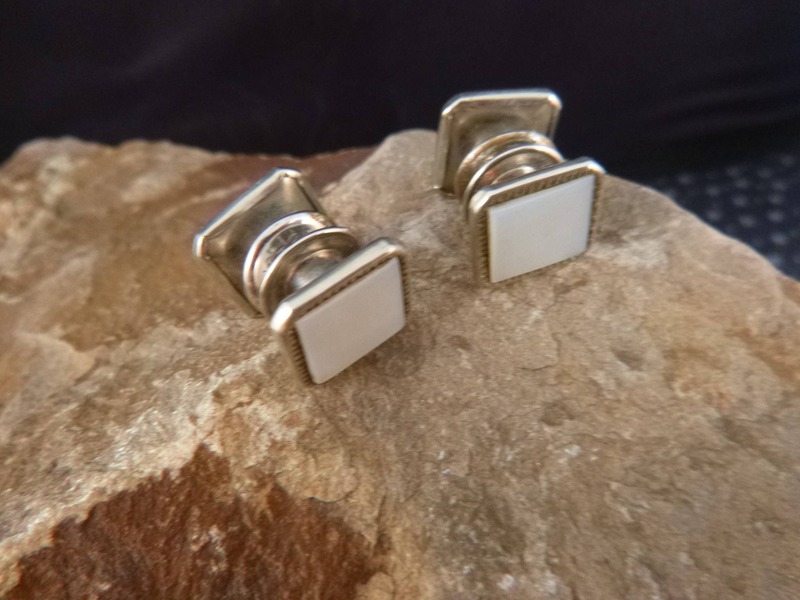 These mother of pearl and silver base snap button cuff links are in good to very good vintage condition for their 90+ years of existence. 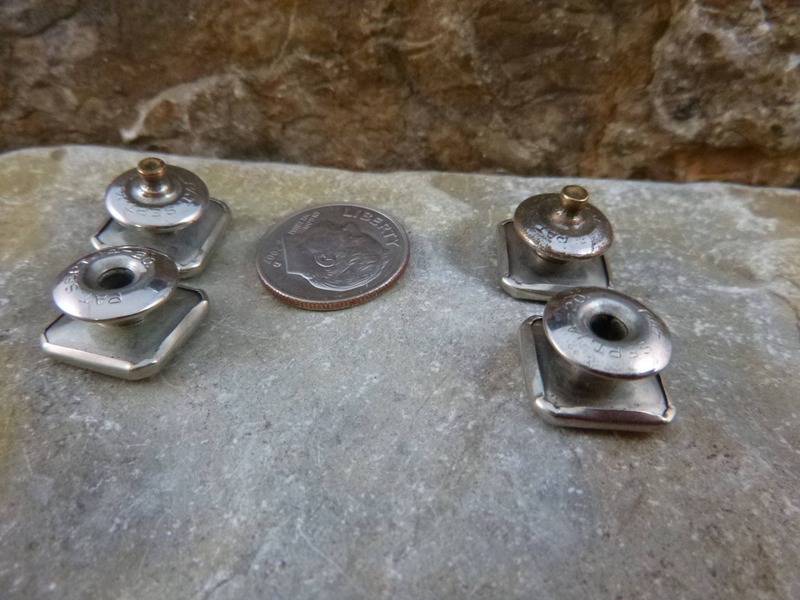 Their face is square, measuring .5” in diameter; the face to face depth between sides is 5/8”. 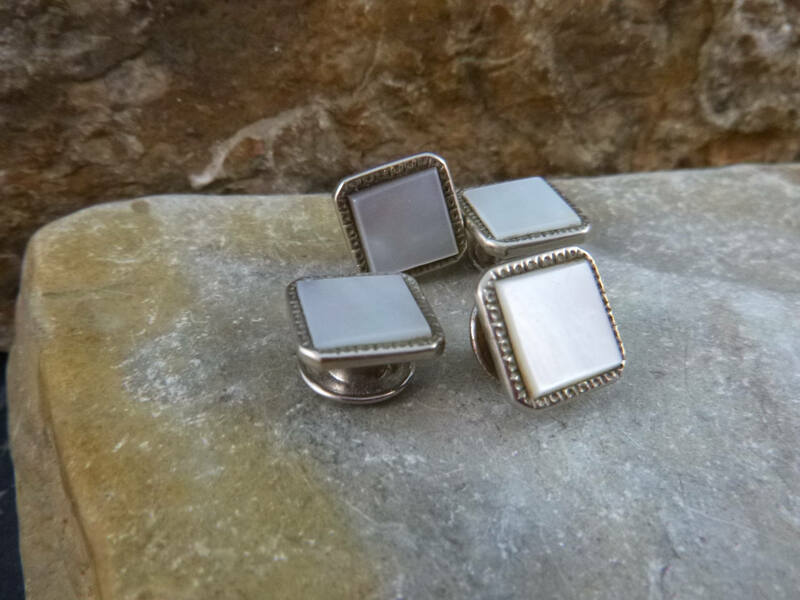 The mother of pearl is bright and the silver base has a warm patina which adds to their charm. 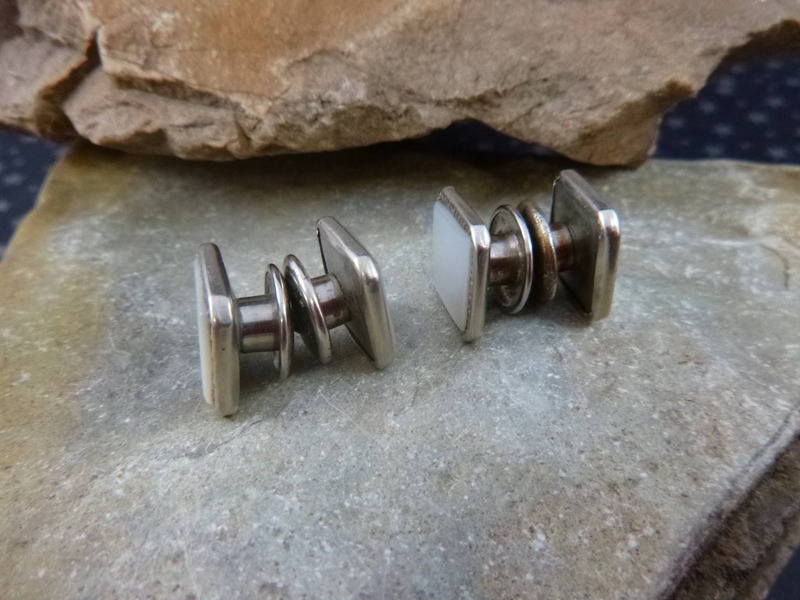 However, there is some interior discoloration here and there which I have tried to show in the pictures. 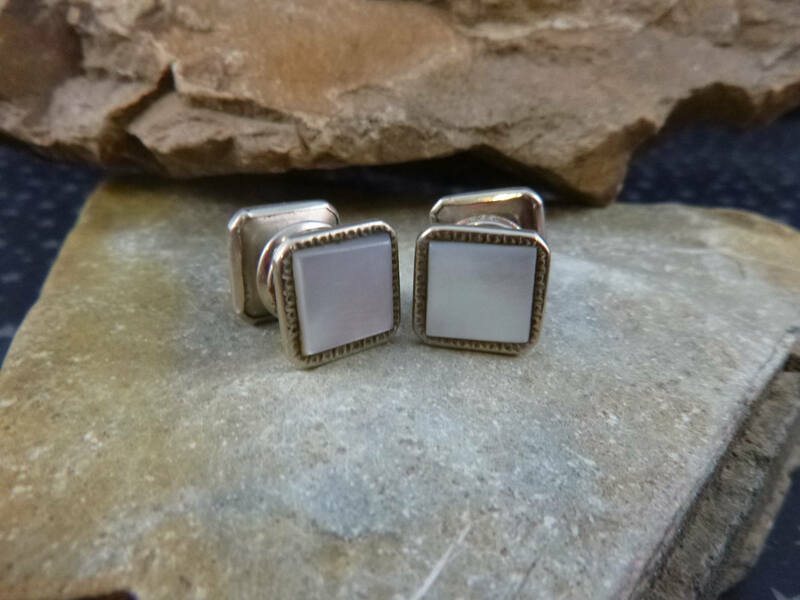 The pictures add greater perspective on the vintage condition and charm of these l920s Art Deco vintage cuff links.